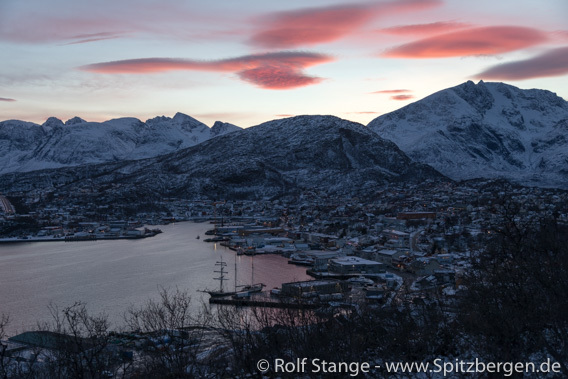 Home → * Triplogs with photo galleries → Arctic blog: Jan Mayen, Spitsbergen → Skjervøy – Orcas and northern lights! 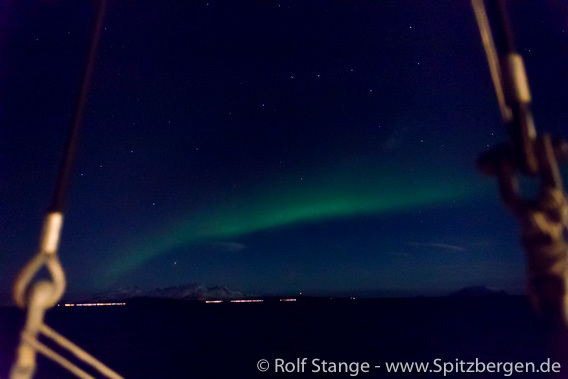 Skjervøy – Orcas and northern lights! Based on some information of recent sightings and a bit of optimism, we had set course northeast towards the waters around Skjerøya, at 70 degrees north. Usually we don’t get far on this trip! 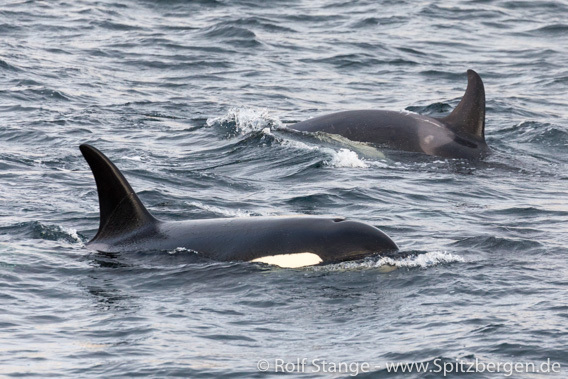 But considering the Orca sightings that had been made by others there in recent days, we wanted to give it a try. Of course we used the opportunity to visit Skjervøy, an small island with a settlement and harbour that all bear the same name. This is where Fridtjof Nansen’s Fram finally returned to civilisation after her famous 3 year drift across the Arctic Ocean (1893-1896). Nansen himself, accompanied by Hjalmar Johansen, had famously left the ship in 1895 to reach the north pole (which did not work), so they were not on board when the Fram reached Skjervøy. A great bit of polar history, and this place was part of it. This alone was actually a good reason to visit. As it turned out, there are some good hiking opportunities on Skjervøya. Currently limited as the sun is going down just before 3 p.m., but it was enough for a short walk to get some fine views of the place.